Bangladesh Railways and Progress Rail signed a contract for the supply of 40 EMD GT42ACL broad gauge locomotives, equipped with the latest locomotive technology. 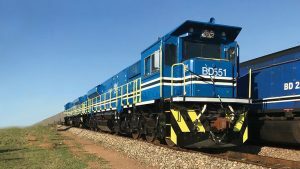 Rated at 3,250 braking horsepower with microprocessor control and AC/AC traction, these locomotives will provide significant fuel efficiency advantages, lower emissions, the latest safety features, as well as notable haulage capacity and reliability. Progress Rail has delivered the first meter gauge locomotive to Bangladesh Railways in 1953.